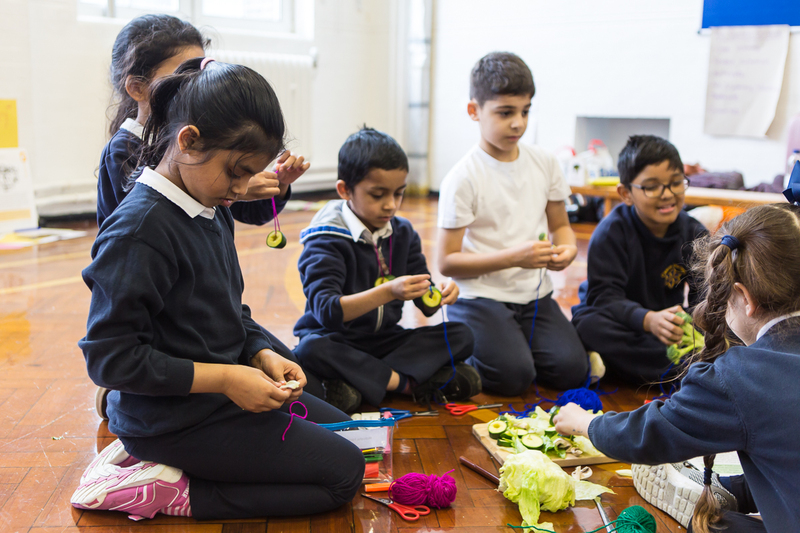 Back in February, a team of ten adults from Artsadmin and LADA visited Year 3 at Canon Barnett Primary School in Tower Hamlets. We were armed with felt pens, corn flour, wigs, dog leads, vegetables, string – everything we needed to make the ordinary extraordinary, protest, break the rules and remake our own. Creating jewellery made from vegetables, leading to an impromptu catwalk, with creations including lettuce leaf fascinators, courgette necklaces and carrot earrings. Replicating the stance and posture of our chosen famous icons from Picasso and Guy Fawkes to Michael Jackson. Creating our own protest signs, crashing the lower years' playtime to spread our important messages. The group chanted and raised their signs, leading a mass protest in the playground that every child joined in with. 'It was truly amazing to see the children so involved in the Artsadmin and LADA activities. 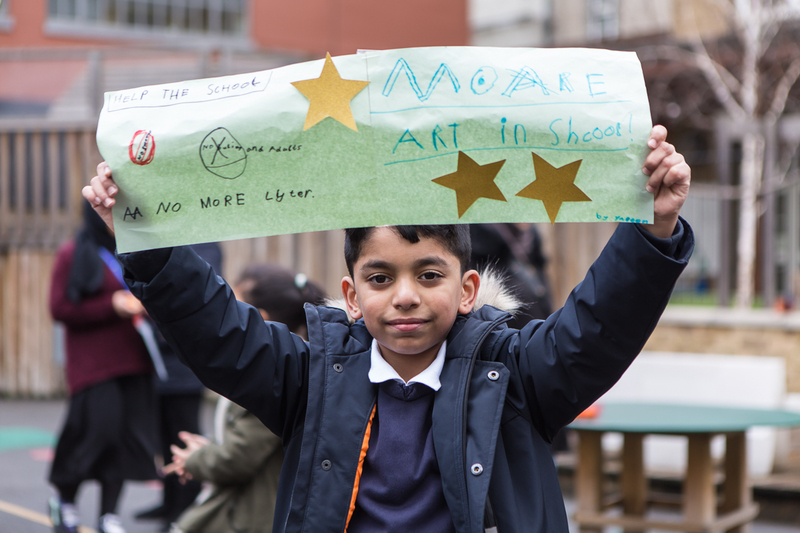 The whole of the five senses were put to use in creating and experiencing art, and the children became active arts ambassadors within the school, with a fully blown march in the playground featuring placards and slogans to 'Make Art Free'. We had an incredible experience collaborating with the children, whose energy and curiosity was infectious. They told us that they left with more of an understanding of what live art is and how we are all potential artists in our own right. Find out more about PLAYING UP. Read more about Artsadmin's Education programme.